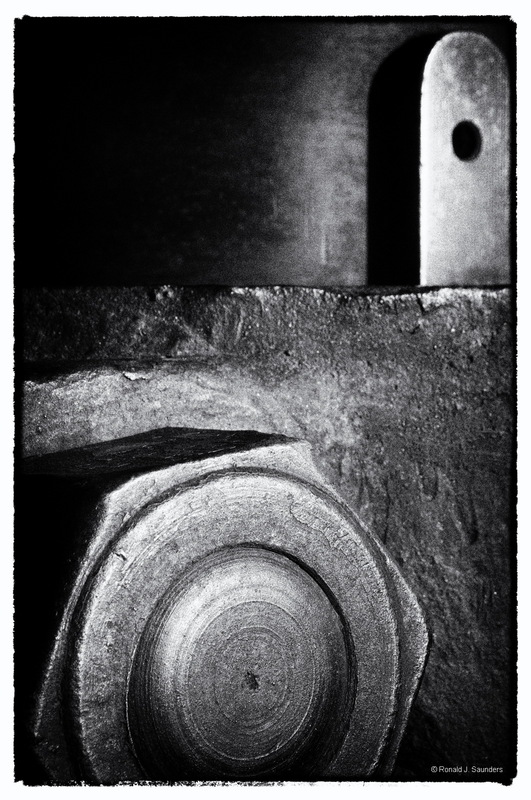 This is an image of cast iron and machined steel parts on a steam driven mine shaft hoist. The details of the equipment kept me busy for a couple of hours with my camera. My mechanical engineering background probably has something to do with my fascination for the machinery. Photo © copyright by Ronald J. Saunders.